The Eritrean regime is qualified to send its hit-man around the world to neutralize those carrying secrets and officials. This was a daily affair in the refugee camps of Sudan and Sinai, today it enlarged internationally. Further complicating Canadian police efforts to learn more about man charged in stabbings and dismemberment: travelling with false identity Adonay Zekarias. Police say the man known to them as Adonay Zekarias, charged with two counts of first-degree murder in the deaths of Rigat Ghirmay and Nighisti Semret, is known to friends in the United States by a different name. Weeks after one woman was stabbed to death in a Cabbagetown alleyway and months before another was brutally dismembered, the man now accused of killing both took a trip to Germany. Why did Adonay Zekarias — in between allegedly murdering two Eritrea-born Toronto women — leave Canada, then return? The travel details so far remain a mystery to police, but the information has investigators probing what the 42-year-old did while abroad. Police have made an international DNA search request through Interpol to see if the accused killer’s genetic profile draws any crime scene matches in Europe and the United States, where he has family. They are awaiting results. Zekarias, an Eritrean immigrant who police say came to Canada within the past five years, was charged this week with first-degree murder in the deaths of Nighisti Semret, 55, and Rigat Essag Ghirmay, 28. Susan Adams, defence lawyer for Zekarias, said she wasn’t aware of the Interpol search. Investigators have not identified a motive in the October 2012 stabbing death of Semret, or even how she and her alleged killer knew each other, but they believe the second woman was murdered after she pieced together what happened in the alleyway slaying. Zekarias was arrested in May, initially charged with committing an indignity to a body after Ghirmay’s torso was discovered in a duffel bag near his west-end apartment on Humber Blvd. Police now allege that DNA evidence links him to both crime scenes. Further complicating police efforts to learn more about him is the suspicion that Adonay Zekarias may not be his real name. 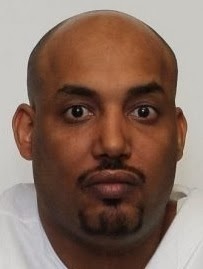 According to Giroux, family members who came from the U.S. to visit him in a Toronto jail recently knew him as Dawit Tekei Fesshaye, a man nine years younger than the age police know Zekarias to be. Giroux isn’t so sure. “I need to know who he is,” he said. Police are urging members of the public, particularly those in Toronto’s Eritrean community, to come forward with any information that may assist the investigation. Semret, a hard-working cleaning supervisor at the Delta Chelsea hotel, was killed on Oct. 23 last year in a Cabbagetown alleyway. The mother of four had been living in Canada as a refugee for two years, trying to save enough money to make a better life for her children still in Africa. A man in a ball cap stalked her through a dark alley near Bleeker and Ontario Sts. as she walked home from an overnight shift around 7 a.m. She carried an umbrella to protect herself from the rain. The assailant had a 20-cm kitchen knife. Chilling surveillance footage shows Semret walking steadily across the wet pavement, unaware of the skulking figure behind her reaching into his coat. The killer got away, but according to police left his DNA all over the crime scene: his skin under Semret’s fingernails, his blood on her canvas bag and on an umbrella used by a good Samaritan who tried to fend him off. Police still don’t know how the killer knew the victim or what provoked the alleyway attack. The DNA profile would remain unknown until the next spring, police say, when a duffel bag containing Ghirmay’s torso was found on a path near Humber Blvd. Investigators say Zekarias and Ghirmay, both Eritrean immigrants who had come to Canada a few years before, had a close relationship. Neither had family here and they leaned on each other for support. They lived together for a while, but police aren’t certain if they were romantically involved. Elen Haile, who worked with them both at a downtown hotel and attended the same personal care worker program, said she never saw one without the other. Wherever Ghirmay went, Haile said, Zekarias followed. Haile described Zekarias as largely helpless, always with his hands in his pockets, never quite sure how to handle things on his own. “She was all the time guiding him,” Haile said. “She led him everywhere. “He was very quiet. Always with the hat.” A ball cap, Haile says, worn indoors and out. Police believe Ghirmay was with Zekarias when he was treated for serious injuries, possibly to his hands or arms, in late October 2012. Seven months later, investigators would describe similar injuries in a press conference announcing they had DNA evidence in the Cabbagetown murder. A week after the police announcement, Ghirmay moved out of the apartment she shared with Zekarias. A week after that, she was killed in her new apartment on Shuter St. Her remains, aside from the torso, have never been found. DNA samples taken from a personal item found in the duffel bag matched the profile from the Cabbagetown alleyway crime scene. Surveillance footage shows Zekarias struggling with several heavy pieces of luggage at Ghirmay’s apartment between May 17 and 24, according to police. Det. Sgt. Pauline Gray said this week she believes Ghirmay confronted Zekarias about Semret or made him aware of her suspicions. Though they were part of the same close-knit Eritrean community in Toronto, the two victims were not well known to each other, according to police. Both died far away from loved ones while trying to make a better life for themselves. Semret’s remains, and what police had of Ghirmay’s, have been returned to their families.